Now you can become an umpire! Know the rules! Watch top-flight bowls and get paid! 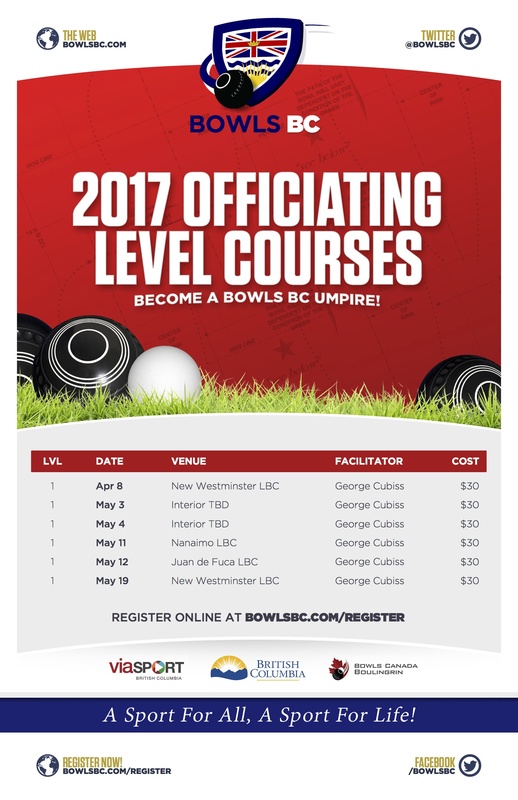 Our goal is to have at least one umpire in every club in B.C. The Provincial Officiating Committee is giving you the opportunity to tell us about our umpires. All club games convenors are asked to complete the performance review online, which is available here: Officiating Performance Review Report. If you have run or played in a tournament which had an official umpire, please take one minute and fill in this form. Tell us if you thought there were problems with the officiating. Tell us if the umpire was excellent. The POC will take your comments seriously and use them as part of our evaluation of the umpires in BC.